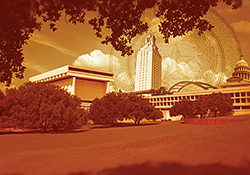 The University of Texas at Austin helps fuel our economy and benefits all Texans. It’s one area of the state’s infrastructure that represents true excellence. The Legislature cannot cut its way to prosperity when it comes to The University. The budget proposed recently by the Texas Senate, SB 1, cuts funding for core academics and special items at UT Austin by 10% or approximately $48 million. The cuts proposed by the Senate would make it difficult if not impossible for UT Austin to remain competitive with the other great state and private universities. UT Austin has many allies in the Texas Legislature whose campaigns Friends of The University PAC has supported financially. We are relying on these individuals to work hard in both the House and Senate to make sure we avoid these cuts that would create a crisis. In particular, we must ensure funding for Dell Medical School like every other public medical school in Texas and provide special funding for McDonald Observatory, Marine Science Institute and the Bureau of Economic Geology. These entities represent true excellence, and they must be adequately funded. Also troubling and potentially financially devastating is the move by the Legislature to take property known as the “Brackenridge Tract” in West Austin, gifted to UT Austin to benefit students, and give that property to another state agency without paying for it. The implications of the measure, currently embodied in SB 822 and HB 4059 extend well beyond the “Brackenridge Tract” — this could just be the beginning of takings from higher education by the Legislature. If the Brackenridge Tract is lost by UT Austin, it will be very difficult for UT Austin to raise endowment funds. The question on all donors’ minds will always be: If the state can take the Brackenridge tract, why will they not take the endowment I created? I urge you to visit our website at www.friendsoftheuniversity.com and sign up to receive updates on the budget and other important issues. You can also make a secure online donation there to Friends of The University PAC today; so we’re putting our money where our mouth is when it comes to fighting in the political arena to protect UT Austin. I know that working together we can beat down these budget cuts, stop higher ed takings by the legislature and preserve UT Austin as an institution of the first class, contributing greatly to the success of our economy.